Help Us Find the 2019 EAST COBBER Father of the Year! EAST COBBER’s 2018 Father of the Year, Steve Pyburn and his children, Connor (14), Christina (8), and Bryce (12). 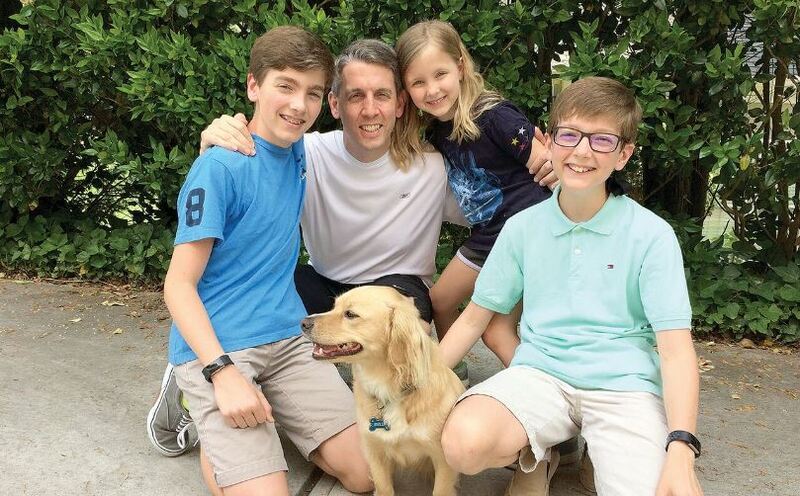 All EAST COBBER readers are encouraged to nominate a father who either lives or works in East Cobb County to be this year’s EAST COBBER Father Of The Year. In 200 words or less explain why this man should receive this honor. The Father Of The Year will participate in our annual Parade, and be eligible to receive gifts from our local merchants. Mail your essay along with photo to: EAST COBBER, P.O. Box 680455, Marietta, GA 30068 or email your essay and photo to contests@eastcobber.com. All entries must be postmarked by May 8.